Maureen Mitchell joined GE Asset Management (GEAM) in 2009 as president, Institutional Sales and Marketing, and in 2011 was promoted to president, Global Sales and Marketing. With over 25 years’ experience in the investment management industry, including 20 in sales, Maureen has built a distinguished career. She spent 10 years with Bear Stearns Asset Management as a senior managing director, and held executive leadership positions with Highland Capital Management, Scudder Kemper and U.S. Trust. 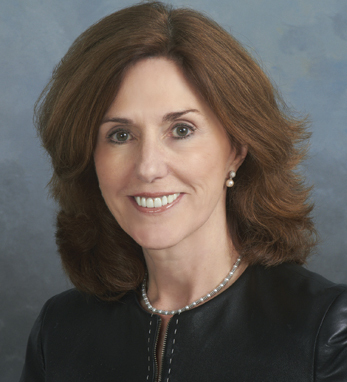 A graduate of City College of New York with a graduate degree from Fordham University, Maureen is a member of the GEAM board of directors and the board of GE Asset Management Funds II plc., and has held board positions with other nonprofit organizations. A first-generation Irish American with roots in Sligo, where her father worked as a lobsterman before immigrating to the U.S. with her Galway-born mother, Maureen has two daughters, graduates of Stanford, Wesleyan and Harvard Medical School, both of whom have traveled throughout Ireland with their mother.